“GIANTS STILL WALK ON BROADWAY. “A PERFECT NIGHT ON BROADWAY. This entry was posted in Book Tickets Now! 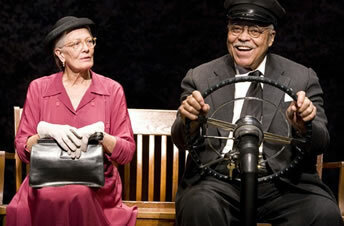 and tagged Broadway theatre, Driving Miss Daisy, James Earl Jones, London, Tony Award, Vanessa Redgrave. Bookmark the permalink.